OCTOBER 4 - Baton Rouge, Efferson Hall Host Site - 9AM - 1PM, Available at all Distance Ed sites. OCTOBER 18 - Winnsboro Host Site - 12PM - 4PM, Available at all Distance Ed sites. NOTE: All Ag Center meetings will be available at the following Distance Ed sites: Calcasieu, Dean Lee Large, Efferson Hall 214, Hammond, Jefferson, Red River, Rice Research, St. Tammany, Terrebonne, West Carroll Large, Winnsboro, Ouachita. * Switch between health insurance carriers (this will be done in Workday). - If you are currently enrolled, you may increase your coverage by $10,000 (if the total amount doesn't exceed 5x your annual salary). Spouse coverage may be increased by $5,000 without medical underwriting as long as it does not exceed 50% of the employee's coverage or $100,000. For any employee wishing to increase their coverage by more than $10,000 or wants to sign up for the first time will have to undergo Medical Underwriting. Forms may be requested from the LSU AgCenter HRM office. Please note: NO late health insurance applications will be accepted outside of Annual Enrollment without a qualifying event. 1. Active employees with access to Workday will make health insurance changes there. Visit your current benefits in Workday. (Click on the heart on the homepage, >>View>>Benefit Elections). Print that out. Make sure everything you want is there, then compare it to the Open Enrollment event in your inbox. 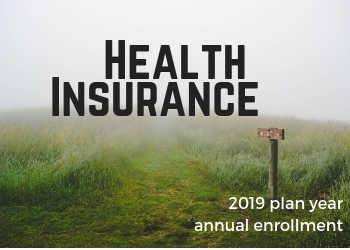 If you have the Pelican HSA 775 health plan, you MUST make an election for deducts to your HSA account for the 2019 plan year. The 2018 deduction will not carry over into the new year. If you are happy with your health insurance plan and do not want to change plans, you do not need to make an election, but you should still open your Open Enrollment event and proceed through it, making certain everything is as it should be. You will remain in your current plan unless you make a change. 2. If you contribute to one or both of the tax-saver benefits plan spending accounts (medical or dependent) and you want to continue to participate in the next plan year, you MUST re-enroll. You will enroll online in Workday. If you do not re-enroll (which means selecting the amount you'd like withheld for the year) you will not participate in 2019. 3. You should check/update your beneficiary information for life insurance in Workday. 4. You should take an inventory of the benefits and insurance coverage you do have, making sure it is adequate and not too much or too little. All eligible employees will be routed an Open Enrollment event on 10/1/2018. The event will appear in your Workday Inbox. If it is not currently there (as of 10/1/18) and you are an eligible employee, please contact HRM (225.578.2258). It may be due to a pending benefit event already initiated in the Workday system. Once the pending event is complete, the Open Enrollment event should trigger. After close of business on October 31, 2018, the LSU First and Supplemental products will not be selectable on the Open Enrollment event. Employees will only be allowed to make changes to OGB plans after 11/1/2018. The Open Enrollment event in employee's inboxes will disappear at close of business on 11/15/18. If an employee does not complete their Open Enrollment event, their current coverage will remain (except for Flexible Spending Accounts and Health Savings Account elections). These plans will automatically be waived if an employee does not re-enroll through the Open Enrollment Event. If an employee is currently not participating in health coverage and does not elect health coverage through the Open Enrollment event, the Open Enrollment event will close as though the employee has waived health insurance (information we must report per the Affordable Care Act). Employees are encouraged to print a benefits confirmation from their Benefit worklet before completing their Open Enrollment in Workday. Please also review demographic information such as address and phone number to ensure new ID cards will be received timely at the close of Annual Enrollment. 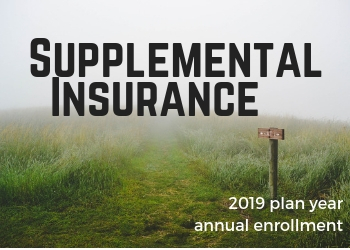 Employees will receive a confirmation of what products they have elected, waived, beneficiary designation and what dependents are covered once they work through their Open Enrollment event. It is important for employees to review the confirmation before completing their Open Enrollment event. Once Open Enrollment is closed, the insurances elected in Workday will be the benefits the employee is enrolled in for the 2019 plan year. Retirees will not have access to Workday for Open Enrollment. All retiree changes should be completed on paper documents and sent directly to the HR office. New premiums and elections will be reflected in the employee's December payroll checks, except for Identify Protection, flex and health savings deductions. Identity Protection deduct will be the month prior to effective date. New flex elections (health and dependent care) will be reflected in the employee's January check. If I don't want to make any changes, do I have to do anything? It’s important to open the “Open Enrollment” notice in your Workday inbox and go through all of the pages. If something isn’t as it should be, make the changes. Some plans may have been automatically waived because Workday did not have the correct dependent information. You will need to enter your dependents and re-elect these plans. Open Workday to your Benefits screen and print the plans you are enrolled in now. When you go through the Open Enrollment event, check each insurance to be sure what you are currently enrolled in is still elected. Be sure the dependents (spouse, children, etc.) are listed on the correct plans. When you have completed the enrollment process, you will check the “I Agree” box and Submit. At that time you will have the option to Print your enrollment. BE SURE TO PRINT THE INFORMATION. Compare it to the printout of your current enrollments and be sure it is correct. GREAT QUESTION. Before you can add dependents (spouse, children...) to your insurance, you must first add the dependents to your Workday profile. After that is complete you may go in and add them to your insurance plan through the Open Enrollment event. First, you will need to scan and save birth certificates, marriage certificates or other dependent verification forms to your computer so they can be uploaded into Workday. Then you will go in and add the dependents using the CHANGE BENEFITS option. After entering all your dependent information you will be able to attach the dependent verification documents you saved. A notification is sent to HR (Kristen and Dolores) to check out the document you uploaded and approve the addition. Once that’s done, the ball is back in your court to add them to any insurance you choose. Here’s a link to an instruction sheet that can help. Workday is asking me to update my beneficiaries. Do I have to do that? YES. Prior to Workday, all beneficiary information was handwritten. Now that there’s a database to keep this information online, our aim is to do that. Any beneficiary information you complete in Workday will supersede anything written on paper. Update as much as you can. Here’s a link to an instruction sheet that can help. I've received an Open Enrollment notification for other employees in my inbox. Should I complete it? What should I do? We’ve found this to mean that an employee has unintentionally delegated ALL tasks to someone else – this would include their benefits tasks. It is important that the employee receiving someone else’s benefit task NOT complete it. The delegation must be corrected before the Open Enrollment event can be re-assigned back to the correct employee. After the delegation is corrected, the employee that received the original notice will open it and REASSIGN the task to the employee it is supposed to belong to. If you need help with this, we’re here. Please don’t complete a task for another employee – EVEN IF they’re sitting right next to you and give you permission. Because this is a benefits election, The employee’s electronic signature is needed. Nothing less will do. If my spouse works for LSU and my child is a student at LSU do I still have to submit the dependent verification documents to add them to my insurances? YES. There is no way to link their personal information with your Workday Benefits record so you must attach marriage certificates, birth certificates, etc. in Workday or the dependents will not be approved. I have an old insurance plan that is no longer offered but was grandfathered in but is not in my Open Enrollment event. Why? Grandfathered plans are not eligible for any changes except cancellation. Therefore it was not included in the Open Enrollment event. If you wish to cancel this plan, you will need to go into your regular Benefit change screen and process it that way. If you wish to continue the insurance there is nothing to do. Can I change my elections after I submit my Open Enrollment event in Workday? You will need to go into your inbox and click on the “archives” heading. There you will find the Open Enrollment event. Click on the event again to open it up and you can proceed with changing/reviewing your insurances. You will have to “agree” again at the end, click on Submit, and Print the elections. WHATEVER CHANGE IS MADE LAST WILL BE THE CHANGE THAT GOES INTO EFFECT ON 1/1/18. When does Open Enrollment (Annual Enrollment) end? For most plans it ends on October 31, 2017. I would target that date and all my elections made by then. The OGB health plans give you until November 15, 2017 but it is not advisable to wait that long to make your elections. When will my premiums change? For active employees, most premiums are paid one month in advance. Therefore you will see changes for most insurances on your December paychecks. LTD, HSA and FSA accounts are current deductions and those will change on the January paychecks. Do I add beneficiaries to my Retirement and Supplemental Retirement plans in Workday? We are not the official keeper of that information so that will remain a paper form and filed through our Human Resource Office in Efferson Hall. How do I make changes after submitting my Open Enrollment Elections? Open your Benefits Worklet (circle with the heart). Near the middle of the screen you will see “OPEN ENROLLMENT CHANGE”. Click on this and it will take you back to your Open Enrollment event. I have multiple dependent verification documents but Workday is only allowing me to attach one. Go back, scan and save all of them as one document. Then upload it into Workday as one attachment. Workday should allow multiple attachments but some employees have had a problem.